Check out Elsie's fun ReStyle this week! 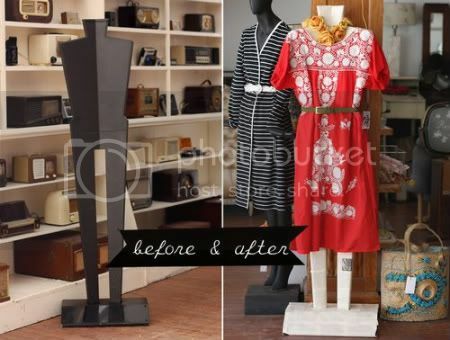 She remade a tacky 80's mannequin into something altogether different. 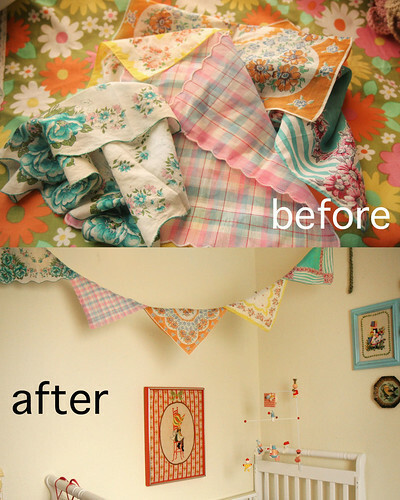 See how she did it here and then check out some of my favorite home-themed restyles from our Flickr pool. They keep getting better and better! I have a feeling I'll have quite a few ReStyles to post this month as we get closer to feeling settled in our new place and this group is keeping me motivated! Thanks for all of your fabulous submissions to the Flickr pool each week. Elsie and I love looking through them! 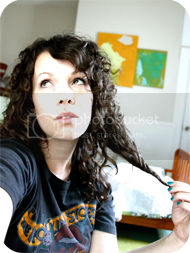 If you didn't see last week's ReStyle it was brought to you by the fabulous Keiko Lynn. p.s. Modern Patchwork giveaway below! the pink mirror is totally adorable!! Thanks for the introduction to some cute blogs! Love that handkerchief bunting! Very cute! wow just discovered your blog. Love it. 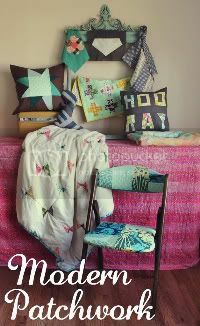 Love your jewellery display and your hanki bunting. Great idea. 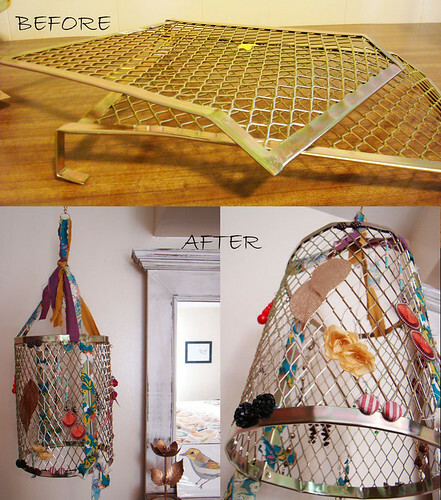 I simply adore your projects,and cannot beleive what you acheived with the unwanted metal mesh thingy. Thank you BIG, for the inspiration. I love the bright spray paint colors people are using! These are not my projects. I've sourced everyone with links back to the original photos. 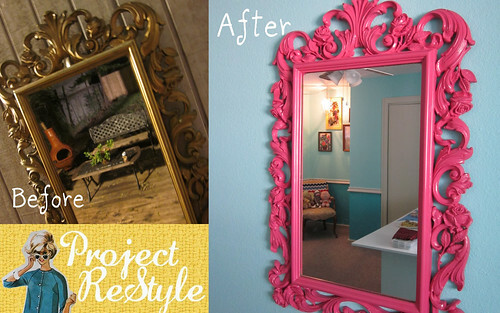 I'm just sharing from our Flickr feed for Project ReStyle. Just to clarify. ;) They are all great, aren't they! Wow, thanks AGAIN for the feature! I'm so flattered! Your ideas are so good lady! Seriously, the biggest thank you ever! 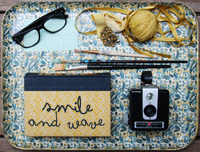 What an honor to be featured on your blog, I am loving so many of the ideas coming from the Project ReStyle Flickr pool!! Your project was fantastic! Keep 'em coming!! That vintage hankie banner is adorable! Some inspiring items indeed. Personnally I am shocked that 5 weeks have flown by already and all my restyle projects are still not a reality-Pooh.